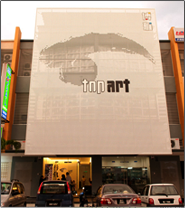 The Da Vinci Creative Kids is one of the most established children art centres in Malaysia. Set up through The One Group, which operates one of the most respected art schools in the country, Da Vinci has grown from its beginnings into one of the most popular art spaces among children today. The strong element about Da Vinci Creative Kids is that it is designed and developed by a team of educationists who have brought with them countless years of experience in the art education industry through their association with The One Academy where they have nurtured young adults into artists and fellow professionals for many years. This provided them with the appropriate skills and tools to offer classes for the younger crowd to develop their creativity and skills in the arts through Da Vinci. The Da Vinci Creative Kids group was set up by a team of creative educationalists who bring with them experience and techniques which they would then design the programmes that will help build the character of the students apart from teaching them about the basics of art. Capitalizing on the demand for creativity in the industry today, Da Vinci offer courses that will help to nurture these elements with the students from their early ages. The courses at Da Vinci are designed to help the children to prepare for the future where their unique approach provides the children with a starting point and then allows them to mature and better express themselves in the future whether through the arts or otherwise. Typically, the Da Vinci programmes are designed to stimulate the children’s minds where they are spurred and taught on ways to express themselves through the activities that involve problem solving and creativity. Da Vinci is managed by its chairman and Managing Director Mr Tatsun Hoi who was also the co-founder of The One Academy, one of the youngest in the industry then at the age of 29. The General Manager and Creative Programme Director of Da Vinci is Tan Chin Wee who also holds the Creative Group Head of The One Academy. Chin Wee is a well recognized man in the art and education industry where he is endorsed by Pebebo, an international France-based art material leader.